Blog Hoppin': My Favorite FREE 1st grade math centers! 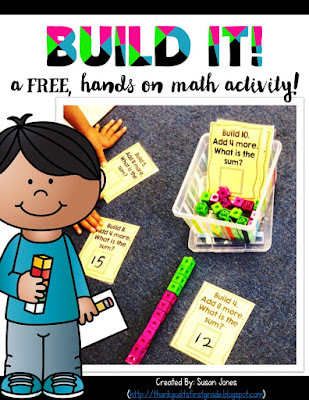 Hey everyone, it's Susan from Thank God it's First Grade (TGIF) and I am here to share some of my favorite free math centers with you! 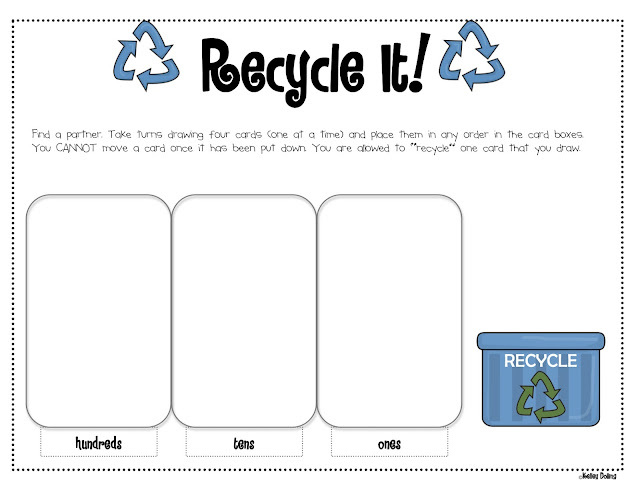 I made these little cards a couple years ago and they were perfect my young learners to SEE and FEEL addition. They simply build the first number with one color and then add the second number with the other color until they find the sum. Molly over at Lucky to Be in First! 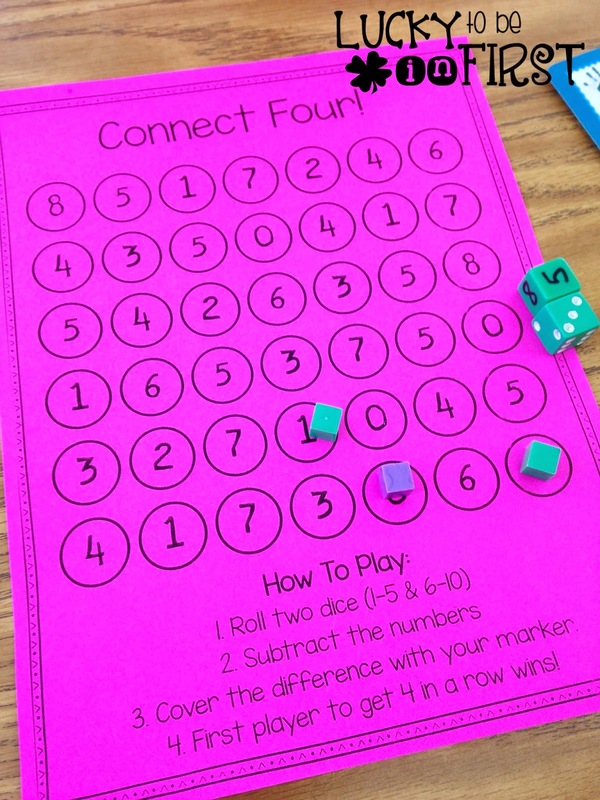 made this fun little gameboard for students to practice their subtraction facts. 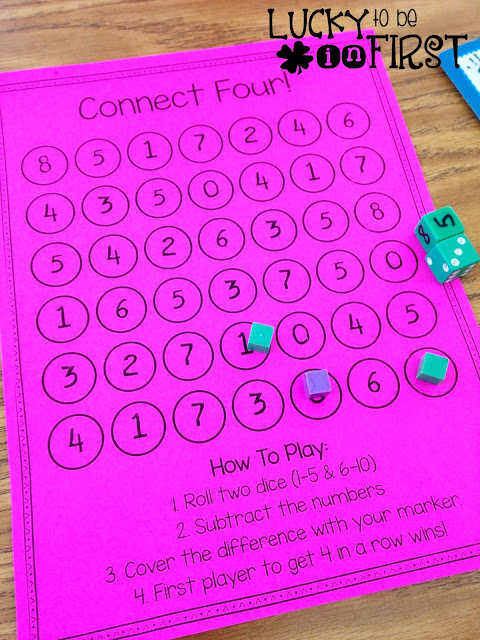 Once they understand subtraction, they can practice their fluency with this fun connect 4 game! She also has one for addition. You can grab both HERE. 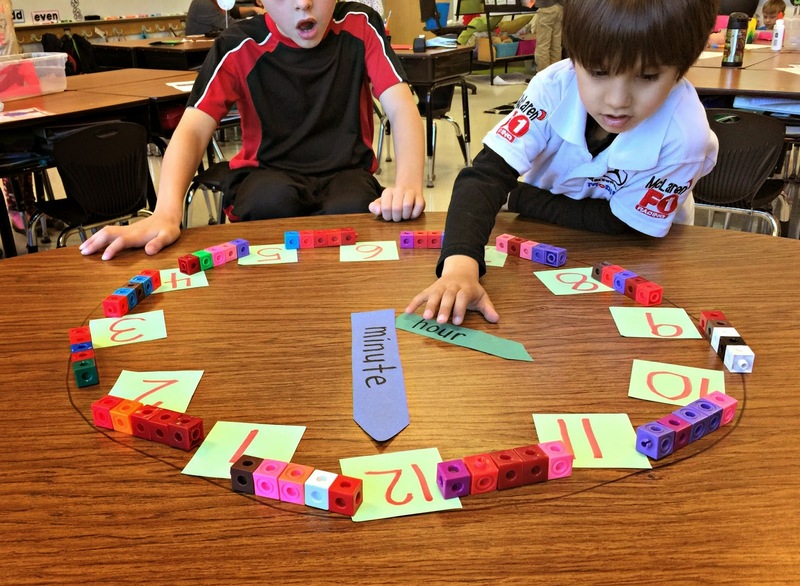 Reagan's big clock with the 5 cube intervals made my first grade teacher heart SO happy! 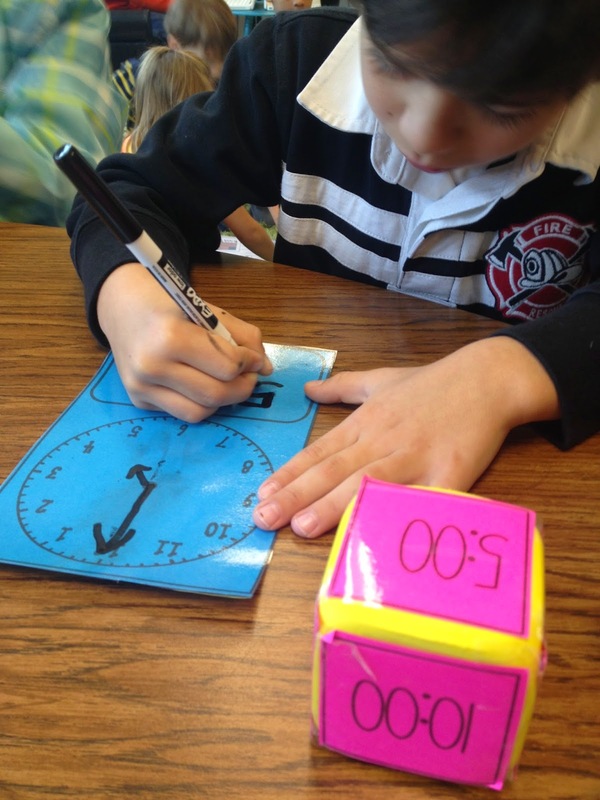 During my time unit, I added magentic stickers to the back of the cubes and my clock stayed up on our whiteboard so we could practice whole group throughout the day! She also made this fun game for students to practice writing the analog time as well as some interactive journal pages for more reinforcement! You can snag all her freebies, HERE! 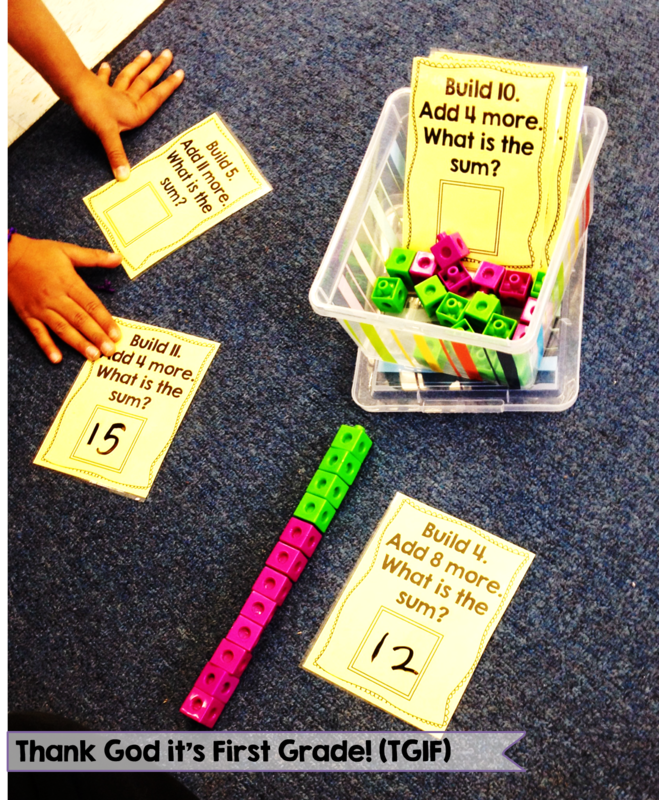 Well those are some of my favorites that make their way through my math tubs each year! Do you have other free favorites!? Let me know!